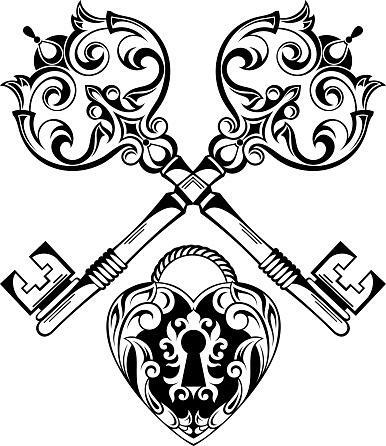 Lock and key tattoos symbolize protection. Everyone has something to protect. It could be your heart or your freedom after a hard break-up, or maybe you are looking to protect your virtue. No matter what you are looking to protect, the lock and key tat has you covered. This design can be funny, symbolic, or mysterious. A tattoo of a lock and key with the key inserted into the lock and the lock open can symbolize freedom. In this instance, the key is showing something being opened or freed. Whether you are opening yourself up to new experiences or just freeing yourself from the past, this tattoo can work great. Additionally, you can add a lock and key freeing a caged bird to really add emphasis. 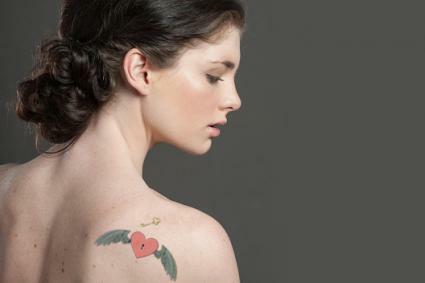 You might choose to place this design on a visible area of your body like your forearm, collarbone, shoulder or ankle. If you see a tattoo with the key inserted into the lock and turned slightly, this can symbolize a change in the person's life. You can use this to commemorate a change in career or even a move. It can show how you are freeing yourself from your old chains and starting something new and fresh. This is a unique tattoo that could be in a hidden area like the base of your spine or along your wrist as a reminder. It can also be placed in a more visible area like your collarbone. Have you experienced a love you want to remember? You can immortalize this relationship in ink through a lock with an attached key. The lock is locked to showing that you're holding on to the memories, but the key is within your grasp. This design can be placed close to your heart, or in a visible area, such as your forearm or wrist, where you can see it as a reminder. A lock and key inked individually on the body can mean protection or finding security. For example, maybe you have found that special someone and feel secure in love. Or, maybe you are choosing to protect your heart. 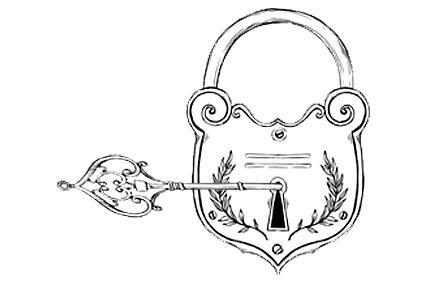 Given the symbolic meaning of this lock and key, you might find it inked close to the person's heart. In this design, the lock is locked securely, and the key might be placed on another part of the body completely. You can even choose to place these in areas of the body that can never touch like the biceps of both arms. Whatever, you choose, this type of lock and key illustrates some type of imprisonment and the difficulty of finding a way out. New love. Old love. Eternal love. These are all timeless meanings of the lock and key symbol. 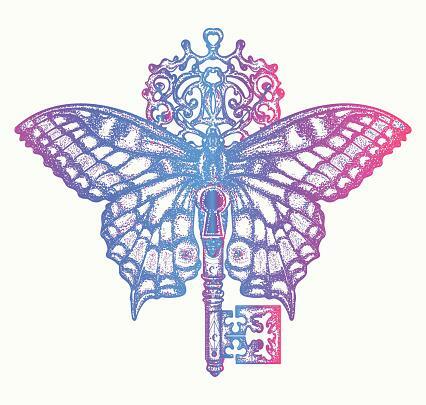 This can be illustrated in a couple's tattoo, with one person getting the lock and the other getting the key. 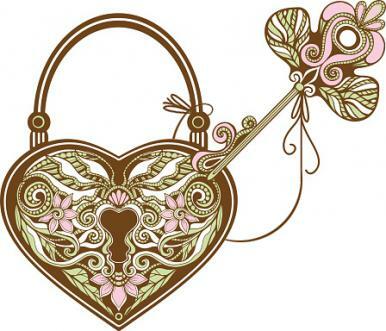 Typically, the lock is in the shape of a heart. This helps to illustrate that another person is holding the key to the wearer's heart. Placement of this kind of tat typically matches on both people. For example, if one person gets the lock on his or her shoulder, the other will have the key inked in the same area. 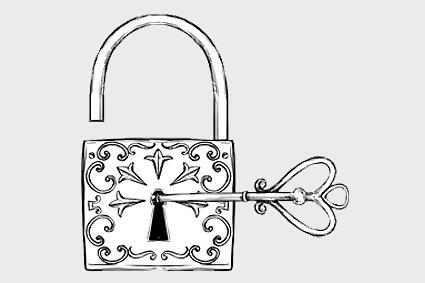 While this might seem a bit medieval, locking yourself up until you find the one can be symbolized through ink. This type of tattoo typically has a lock that is closed with an attached decorative key. The key might be attached with ribbon or even a rosary to symbolize your religion or promise to yourself. While placement is completely open, you might find this one on the lower abdomen. 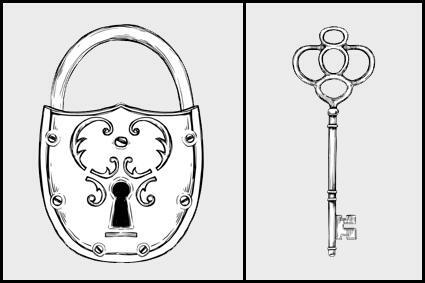 Just like lock and key designs come with a variety of meanings, they also come in multiple designs. These can range from a more ironic door lock and key to an ornate and decorative old-fashioned design. There are numerous ways to make this fully customized to your own unique style. You can add designs within the lock and key elements. For example, you might choose to create a lock out of a butterfly or use a skull for the head of the key. You can also choose to customize your design by going with full color or take a darker, more romantic tone with black and gray. Placement is as unlimited as the design elements you can add to this multifaceted tat. Lock and key tattoos can hold a plethora of meaning including, but not limited to love, imprisonment, chastity and change. Depending on the color, design and even meaning behind the tat, you will find this on people in all walks of life. Find the lock and key design that fits your life and make an appointment with your local tattoo parlor!